Can high serum anti-M"uuml;llerian hormone levels predict the phenotypes of polycystic ovary syndrome(PCOS) and metabolic disturbances in PCOS patients? Preimplantation genetic diagonosis for Charcot-Marie-Tooth disease. Clin Exp Reprod Med. 2013 Dec;40(4):163-8. Early gonadotropin-releasing hormone antagonist protocol in women with polycystic ovary syndrome: A preliminary randomized trial. Shin JJ, Park KE, Choi YM*, 김혜옥, Choi DH, Lee WS, Cho JH. Clin Exp Reprod Med. 2018 Sep;45(3):135-42. The likelihood of achieving pregnancy through timed coitus in young infertile women with decreased ovarian reserve. Koo HS, 송인옥, 차선화, 박찬우, 김혜옥*. Clin Exp Reprod Med. 2018 Mar;45(1):31-7. Predictors of live birth and pregnancy success after in vitro fertilization in infertile women aged 40 and over. 김혜옥, Sung N, 송인옥*. Clin Exp Reprod Med. 2017 Jun;44(2):111-7. Serum anti-Mullerian hormone levels decrease after endometriosis surgery. 김영주, 차선화, 김혜옥*. J Obstet Gynaecol. 2017 Apr;37(3):342-6. 미혼 여성의 임신능력 보존을 위한 난자 동결에 대한 인식. 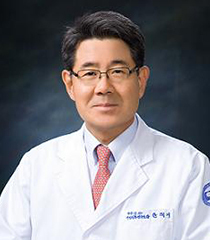 조한선, 김혜옥*. J Korean Soc Matern Child Health. 2017 Jan;21(1):46-54. Fertility of patients with polycystic ovary syndrome undergoing in vitro fertilization by age. 황유임, 차선화, 송인옥, 양광문, 민응기, 김혜옥*. Int J Gynaecol Obstet. 2016 Oct;135(1):91-5. Reproductive outcomes of retransferring retained embryos in blastocyst transfer cycles. Yi HJ, 구화선, 차선화, 김혜옥, 박찬우, 송인옥*. Clin Exp Reprod Med. 2016 Jun;43(2):133-8. The Risk Factors and Pregnancy Outcomes of 48 Cases of Heterotopic Pregnancy from a Single Center. 전지현, 황유임, Shin IH, 박찬우, 양광문, 김혜옥*. 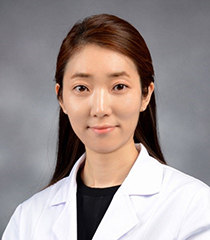 J Korean Med Sci. 2016 Jul;31(7):1094-9. English. A high response to controlled ovarian stimulation induces premature luteinization with a negative impact on pregnancy outcomes in a gonadotropin-releasing hormone antagonist cycle. 구화선, 차선화, 김혜옥, 송인옥, 민응기, 양광문, 박찬우*. Clin Exp Reprod Med. 2015 Dec;42(4):149-55. Correlation between the Serum Luteinizing Hormone to Folliclestimulating Hormone Ratio and the Anti-Mullerian Hormone Levels in Normo-ovulatory Women. Lee JE, Yoon SH*, 김혜옥, 민응기. 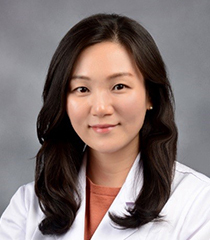 J Korean Med Sci. 2015 Mar;30(3):296-300. 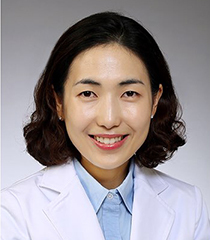 Complete phenotypic and metabolic profiles of a large consecutive cohort of untreated Korean women with polycystic ovary syndrome. Kim JJ, Hwang KR, Choi YM*, Moon SY, Chae SJ, 박찬우, 김혜옥, Choi DS, Kwon HC, Kang BM, Lee BS, Cho SH, Kim TJ, Kim T, Kim MJ, Park HY. Fertil Steril. 2014 May;101(5):1424-30. Can high serum anti-M`uuml;llerian hormone levels predict the phenotypes of polycystic ovary syndrome (PCOS) and metabolic disturbances in PCOS patients? 황유임, 성나영, 구화선, 차선화, 박찬우, 김진영, 양광문, 송인옥, 궁미경, 강인수, 김혜옥*. Clin Exp Reprod Med. 2013 Sep;40(3):135-40. The effectiveness of earlier oocyte retrieval in the case of a premature luteinizing hormone surge on hCG day in in vitro fertilization-embryo transfer cycles. 최민혜, 차선화, 박찬우, 김진영, 양광문, 송인옥, 궁미경, 강인수, 김혜옥*. Clin Exp Reprod Med. 2013 Jun;40(2):90-4. Comparison of assisted reproductive technology outcomes in infertile women with polycystic ovary syndrome: In vitro maturation, GnRH agonist, and GnRH antagonist cycles. 최민혜, 이선희, 김혜옥, 차선화, 김진영, 양광문, 송인옥, 궁미경, 강인수, 박찬우* Clin Exp Reprod Med. 2012 Dec;39(4):166-71. English. 난소 자궁내막증의 수술적 치료를 받은 여성의 혈중 항뮬러관 호르몬 연구. 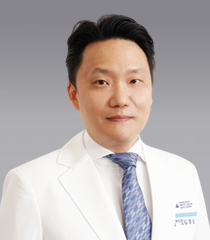 이재라, 이민영, 박혜원, 차선화, 박찬우, 김진영, 양광문, 송인옥, 궁미경, 강인수, 김혜옥* Korean J Obstet Gynecol. 2012 Dec;55(12):935-9. Korean. Serum anti-Mullerian hormone is a better predictor of ovarian response than FSH and age in IVF patients with endometriosis. 유지희, 차선화, 박찬우, 김진영, 양광문, 송인옥, 궁미경, 강인수, 김혜옥*. Clin Exp Reprod Med. 2011 Dec;38(4):222-7. Laparoscopic management of early primary peritoneal pregnancy: a case report . 구화선, 배주연, 강인수, 궁미경, 김혜옥, 차선화, 최민혜, 김지영, 양광문*. Clin Exp Reprod Med. 2011 Jun;38(2):109-14. 중증 자궁내막증의 수술적 치료 후 체외수정의 결과. 양승헌, 김혜옥*, 성나영, 안현숙, 추연실, 양광문, 송인옥, 궁미경, 강인수. Korean J Obstet Gynecol. 2011 Sep;54(9):517-22. Serum anti-Mullerian hormone levels as a predictor of the ovarian response and IVF outcomes. 최민혜, 유지희, 김혜옥*, 차선화, 박찬우, 양광문, 송인옥, 궁미경, 강인수. Clin Exp Reprod Med. 2011 Sep;38(3):153-8. Comparison of mild ovarian stimulation with conventional ovarian stimulation in poor responders. 유지희, 차선화, 박찬우, 김진영, 양광문, 송인옥, 궁미경, 강인수, 김혜옥*. Clin Exp Reprod Med. 2011 Sep;38(3):159-63. Adverse pregnancy outcomes with assisted reproductive technology in non-obese women with polycystic ovary syndrome: a case-control study. 한애라, 김혜옥*, 차선화, 박찬우, 김진영, 양광문, 송인옥, 궁미경, 강인수. Clin Exp Reprod Med. 2011 Jun;38(2):103-8. Age specific serum anti-Mullerian hormone levels in 1,298 Korean women with regular menstruation. 유지희, 김혜옥*, 차선화, 박찬우, 양광문, 송인옥, 궁미경, 강인수. Clin Exp Reprod Med. 2011 Jun;38(2):93-7. Non-invasive prenatal detection of achondroplasia using circulating fetal DNA in maternal plasma. 임지혜, 김미진, 김신영, 김혜옥, 송미진, 김민형, 박소연, 양재혁, 류현미*. Assist Reprod Genet. 2011 Feb;28(2):167-72. Prediction and prevention of ovarian hyperstimulation syndrome. 김혜옥, 강인수*. 대한생식의학회지. 2010 Dec;37(4):293-305. Korean. 난관 폐쇄에 기인한 불임 환자에서 난관 개통술의 효용성. 박찬우, 차선화, 양광문, 한애라, 유지희, 송인옥, 김혜옥, 강인수, 궁미경, 이경상*. 대한생식의학회지. 2010 Dec;37(4):321-7. 말초혈액 자연살해세포 분획 및 세포용해 활성도 분석을 통한 습관성 유산 위험군의 진단적 유용성에 관한 연구. 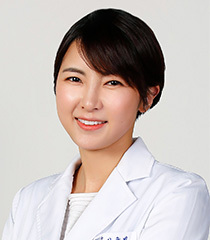 최지영, 황수진, 한애라, 유지희, 박동욱, 박찬우, 김혜옥, 차선화, 김진영, 송인옥, 궁미경, 강인수, 양광문*. 대한생식의학회지. 2010 Jun;37(2):115-24. 저성선자극호르몬 성선저하증 여성에서 보조생식술의 임신율. 한애라, 박찬우*, 차선화, 김혜옥, 양광문, 김진영, 궁미경, 강인수, 송인옥. 대한생식의학회지. 2010 Mar;37(1):49-56. 37세 이상의 환자에서 체외수정시술시 GnRH Agonist 주기와 GnRH Antagonist 주기의 비교 연구. 박찬우, 차선화, 김해숙, 김혜옥, 양광문, 김진영, 송인옥, 유근재, 강인수, 궁미경* 대한불임학회지. 2005 Sep;32(3):261-8. 계류유산 환자에서 자궁 경을 통한 유산아 관찰의 진단적 유용성에 관한 연구 양광문, 차선화, 김희숙, 김진영, 김혜옥, 안현경, 최준식, 류현미, 강인수, 궁미경* 대한산부인과학회잡지. 2005 Feb;48(2):363-9. 습관성 유산 환자에서 저용량 면역글로불린 치료와 말초혈액 내 Natural Killer (NK) 세포의 임계치에 관한 연구 차선화, 김해숙, 김혜옥, 송인옥, 유근재, 궁미경, 강인수, 양광문* 대한불임학회지. 2005 Sep;32(3):217-22. 클로미펜에 부적절한 반응을 보이는 다낭성 난소 증후군 환자에서 Aromatase Inhibitor의 유용성 김혜옥*, 양광문, 허걸, 박찬우, 차선화, 김해숙, 김진영, 송인옥, 궁미경 대한불임학회지. 2005 Mar;32(1):27-32. Placental mesenchymal dysplasia associated with severe preeclampsia: A case report. 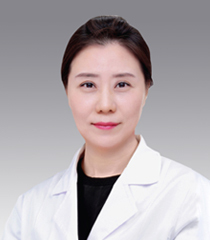 Eun Duc Na, Kyoung Jin Lee, Myung-Joo Kim, Hyo-Jin Yi, MD, Ji-Young Kim. Korean J Obstet Gynecol. 2011 Aug;54(8):459-463. 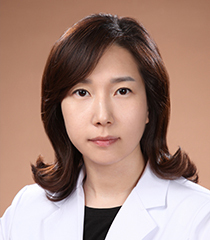 Intraoperative intraperitoneal chemotherapy with cisplatin in epithelial ovarian cancer, Myung Joo Kim, Yong Wook Jung, Seok Ju Seong, Bo Sung Yoon, Mi La Kim, Won Deok Joo, Tae Jong Song. J Gynecol Oncol. 2012 Apr;23(2):91-97. A case of ovarian leiomyoma treated with laparoscopic mass excision. Myung Joo Kim, Eun Duc Na, Yoon Jung Lee, Mi-La Kim,Seok Ju Seong, Ji-Young Kim. Korean J Obstet Gynecol. 2012 Mar;55(3):218-223. Pregnancy prognosis according to prepregnancy body mass index and gestational weight gain in twin pregnancies. Myung Joo Kim, Eun Duc Na, Kyoung Jin Lee, Dong Hyun Cha, Joong Sik Shin, Hwa Young Lee. Korean J Obstet Gynecol. 2012 May;55(5):300-308. Single port access versus conventional laparoscopic ovarian cystectomy: Comparison of surgical outcomes. Yoon Jung Lee, Myung Joo Kim, Seok Ju Seong, In Hyun Kim, Mi La Kim, Taejong Song, Bo Sung Yoon, Yong Wook Jung, Won-Duk Joo, Hye Sun Jun. 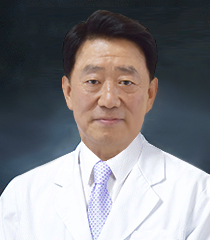 Korean J Obstet Gynecol. 2012 May;55(5):325-331. A healthy delivery of twins by assisted reproduction followed by preimplantation genetic screening in a woman with X-linked dominant incontinentia pigmenti. Myung Joo Kim, Sang Woo Lyu, Hyun Ha Seok, Ji Eun Park, Sung Han Shim, Tae Ki Yoon. Clin Exp Reprod Med. 2014 Dec;41(4):168-173.